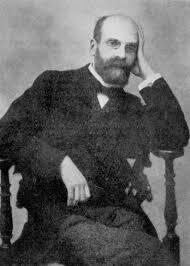 Durkheim and Society research papers on the French writer and philosopher. The recognition of the powerful impetus to belong and to be validated by others. Durkheim dedicated a substantial amount of analytical effort to delineating the way that the need to belong and to be accepted by others exerted force upon social structures, groups, and institutions. According to Durkheim, the division of labor was the key glue, the “essential condition” of social solidarity. “Through (the division of labor), the individual becomes cognizant of his dependence upon society; from it come the forces which keep him in check and restrain him”. The division of labor in society not only holds that society together, it is what creates the moral order. Durkheim argues that higher societies (industrialism) need specific divisions of labor in order to survive. “We can then say that, in higher societies, our duty is not spread our activity over a large surface, but to concentrate and specialize it. We must contract our horizon, choose a definite task and immerse ourselves in it completely”. To Durkheim, labor represents a frequency of “differing modes of life and belief” and leads to a definable equation of the relationship between frequency of contact and density of population. Paper Masters writes custom research papers on Durkheim and Society and examine the French writer and philosopher.